Could composite aerospace structures be assembled much like snap-together building blocks rather than manufactured as large, expensive, one-piece parts? 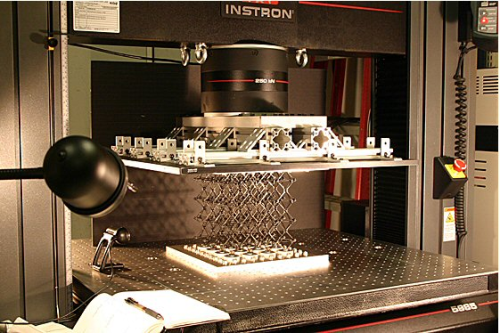 Under a new research agreement Airbus and the Massachusetts Institute of Technology (MIT) will explore the potential of digital manufacturing in aircraft construction. Aircraft manufacturers are increasingly adopting composite materials to reduce aircraft weight and operating costs. Airbus’ latest model, the A350 XWB, is over 50 wt% composite. Current composite airframe manufacture involves the fabrication of large single-piece parts, an expensive process. (The fuselage of the A350 XWB, for example, is made up of a number of large composite panels which are then joined together. )The digital material concepts being developed at MIT could lead to lighter weight structures and lower construction and assembly costs. Airbus will work with MIT’s Center for Bits and Atoms (CBA), which has been developing new methods for manufacturing structures out of carbon fibre reinforced plastic (CFRP). 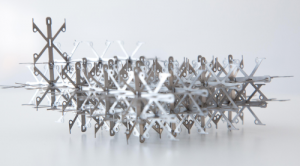 The parts form a structure that is 10 times stiffer for a given weight than existing lightweight materials, according to the researchers. The structure can also be disassembled and reassembled easily – such as to repair damage. (The repair of the composite aircraft fuselages now entering service is a challenge facing the aerospace industry). The individual composite parts can be mass-produced and MIT is developing a robot to assemble them into wings, aircraft fuselages, and other parts. Other applications such as bridge decks are also possible. The MIT technique allows much less material to carry a given load. This could reduce the weight of aircraft and other vehicles, which in turn would lower fuel use and operating costs.The costs of construction and assembly would also be lower. 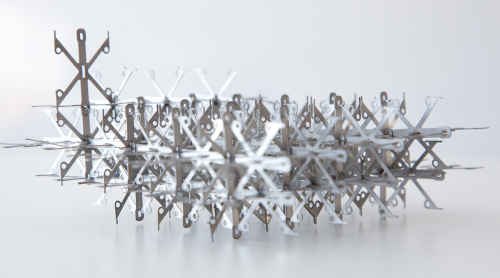 Unlike conventional composite materials, which tend to fail abruptly and at large scale when stressed to the breaking point, the modular system tends to fail incrementally, the researchers say. This makes it more reliable and easier to repair. The possibility of linking a number of parts introduces a new degree of design freedom into composite manufacturing. MIT has shown that by combining different part types, they can make ‘morphing’ structures with identical geometry but that bend in different ways in response to loads.This means that instead of moving only at fixed joints, the wing of an aircraft could change shape.